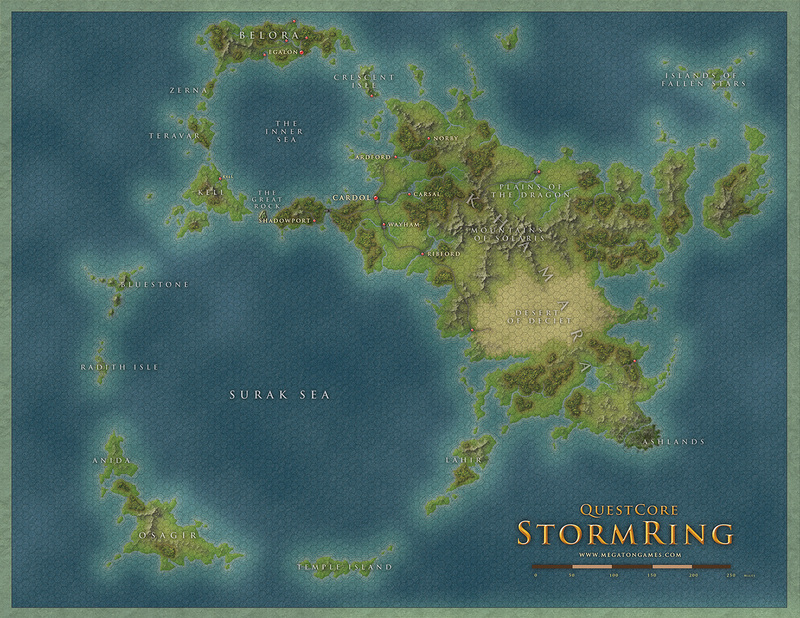 Here’s the finished map for the StormRing fantasy setting – for the QuestCore RPG. The setting will be released later this year. The QuestCore RPG can be found at DriveThruRPG.